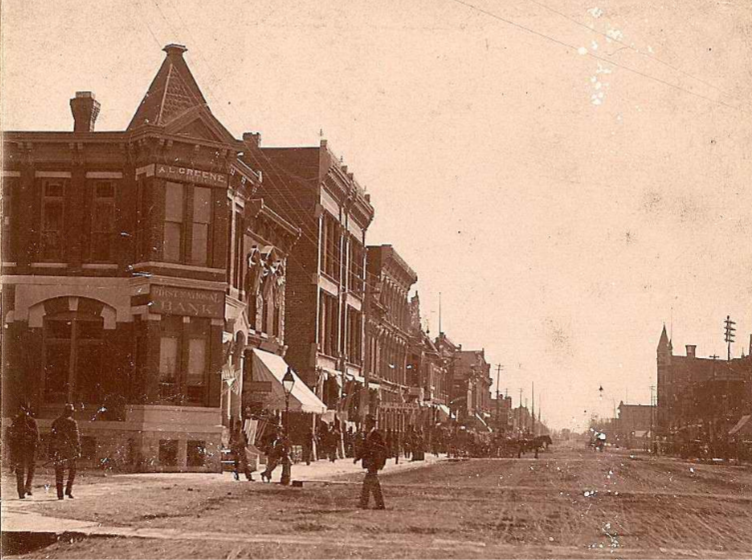 The “Johnson Building,” located at Main & Broadway, was designated as the location for the County Offices in July of 1872. By January of 1873, the offices had moved to 1st National Bank building (pictured) at 526 N. Main. This building was built by B.C. Arnold. In 1875 the courthouse and offices were moved to the second floor of the Hamill Building at 513 N. Main, and remained there until 1880.